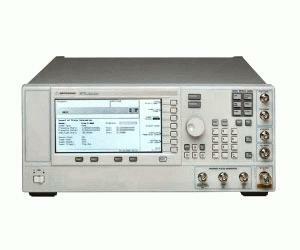 The Agilent Performance Signal Generator series offers accurate characterization of products and eliminates the need of an external amplifier for testing high power devices. The PSG series provides 20 dBm at 20 GHz (option 1EA), reducing overall equipment and test costs. The superior level accuracy of the PSG series (+/- 0.7 dB) reduces test uncertainties and improves production throughput.